Barry has salt in his blood. He comes from a long lineage of boat builders and a family history that ensured that he was brought up on the sea. His father, Clyde, is a well known and respected “blue water” sailor and skipper who has spent a large part of his life sailing and racing around the pacific as well as having spent time in several administrative positions with in the New Zealand sailing fraternity. 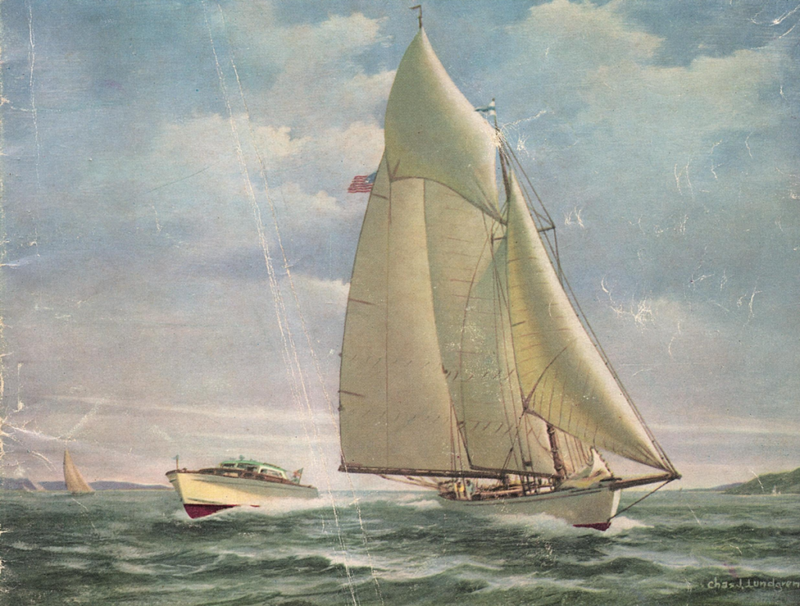 Barry’s mother Heather Colson (Reid) is featured in Jann Irons book “sailing away” and was unique in being one of few New Zealand women sailors of her time to have devoted her life to big ocean racing and yacht deliveries. She completed more than 100,000 sea miles and held a commercial launch masters ticket. 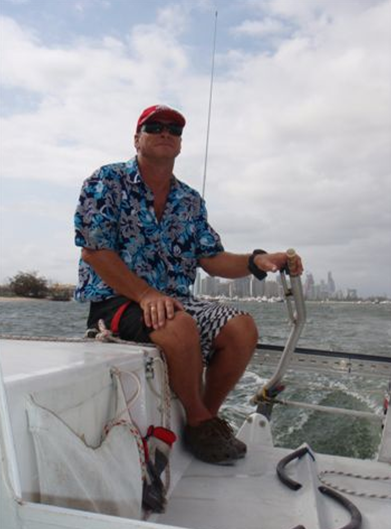 Barry started his competitive racing in “P” class before graduating to cherubs and skiffs and then in to blue water racing as a teenager completing his first offshore voyage from Fiji to Auckland at the age of 14. He continues to build and race his own designs and his history and involvement means that he is a “Hands on” designer with a wealth of invaluable, practical knowledge. Barry has been the winner of several international design competitions. Respect has come from as far away as England where in 1995 he was the winner of the prestigious” Whitbread 30” design competition. The New Zealand naval architectural society confirmed their recognition with the “Autoship award of Excellence”. In 1998 Barry and his family moved to Brisbane Australia where he completed one of his 8.5 metre designs for Jim and Buzz Hawke at Bribie Island. This was a sister ship to his own “Cynosure” which he designed, built and competed with his father in the Round north island race. Since moving to Brisbane Barry has remained active in all facets of the marine industry. He is a professional marine surveyor and continues to divide his time between designing, surveying, building and sailing. Apart from a life time of Practical Knowledge on the sea Barry has spent over 40 years in the marine industry in New Zealand and Australia. His experience includes commercial charter boat skipper, sailing tutor, Chandlery owner, boat builder and marine surveyor. He prides himself on “Thinking out side the square” and continues to develop all types of yachts from dinghies to ocean cruisers which are fast, well mannered and cost efficient. Every week his Marine Surveying practise gives him insights in to the design and construction of all manner of vessels. He has been a practising surveyor since 2003 and has completed in excess of 3000 vessel inspections. A class 1A classification with MSA (Marine surveyors association of Australia) and an associate member of IIMS (International institute of marine surveyors) his vast experience will prove invaluable when meeting you’re needs.